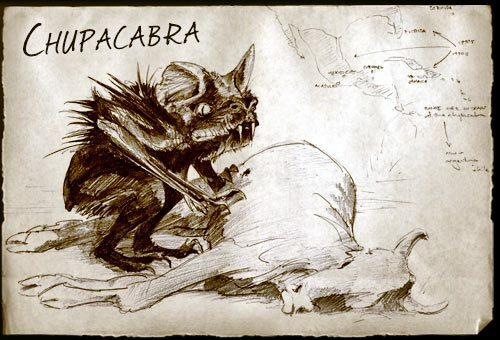 A new series of animal slayings occurred in Tocopila, reviving old fears about the existence of a pitiless creature that attacks without leaving a trace or explanation as to how the deaths occur. Yesterday, in the “Tres Marias” sector of the town, located to the north of the port area, the Chupacabra legend was resurrected at the smallholding of Eduardo Covarrubias, where 32 farm birds were found dead. Their bodies were scattered inside the henhouse, which showed no signs of foreced entry by trespassers or other animals from the region. Covarrubias made the macabre find when he went to feed his animals as he did every day, coming across the unpleasant scene of his lifeless hens. It was possible to ascertain that the birds showed a single orifice on the base of their necks, having almost the same depth throughout their bodies. Furthermore, it was not possible to find vast quantities of blood on the ground despite the magnitude of the killings. Added to this was the death of the only two roosters, who were beheaded during the attack.